We're a small home kennel located in Pennsylvania (as of 2016). We've believe in raw feeding and have been doing so for over 18 years. But don't get me wrong - we also enjoy owner handling our pride & joys. We typically breed when we are looking to add a new member to our own family. 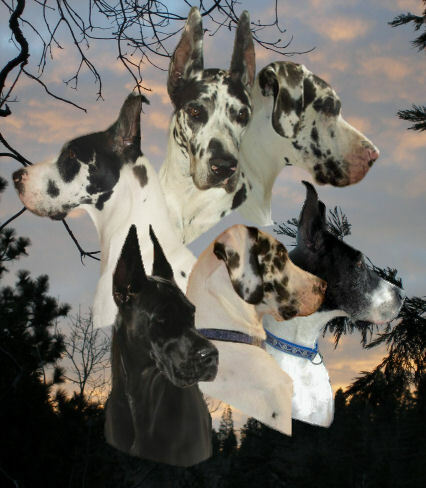 When breeding Harlequins sometimes we are blessed with Merle Great Danes too. ~Our animals are available for professional gigs.